An international jury selected painters of whom we are bound to hear in the future. We foretell a good era for painting and present you with our selection of the ten most interesting artists from the proposed hundred. 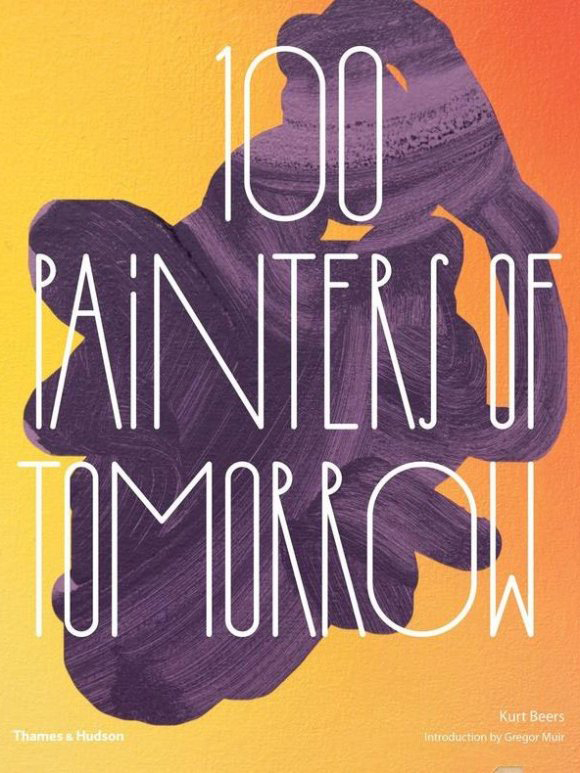 The English curator and gallery owner Kurt Beers published the voluminous 100 Artists of Tomorrow in October, 2014, in collaboration with Thames & Hudson publishing house. A jury of prominent figures of the art world, such as Cecily Brown, Yuko Hasegawa and Suzanne Hudson, chose the most promising 21st-century artists from a list of 4,300 submitted candidatures. The final 100 includes 53 men and 47 women. Anyone who paints could apply, without any age or geographical limits. Upon the request of the contest’s initiators, a few dozen art schools also nominated their own graduates. 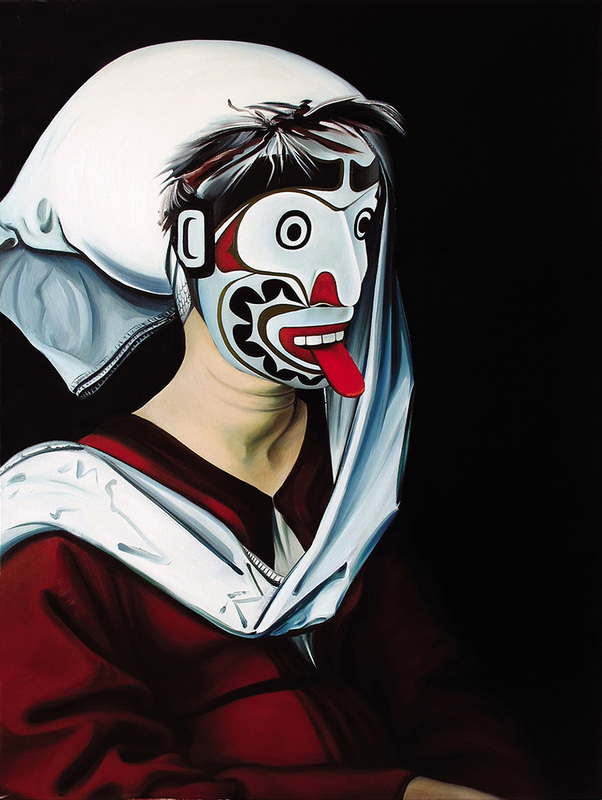 According to Kurt Beers, painting is now undergoing a significant renaissance. Many key artists are returning to this medium after an era dominated by digital media. The 100 Artists of Tomorrow album not only augurs good times for painting but it also constitutes a helpful guide to contemporary tendencies, currents, and trends. 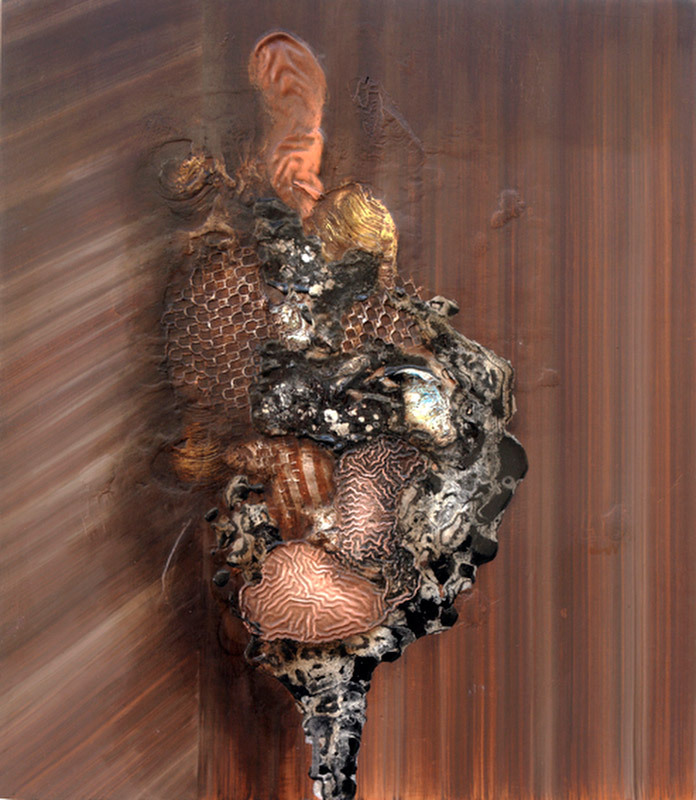 The reproductions of excellent quality enclosed within a solid cover present realistic painting, as well as abstract and conceptual works, and installations employing mixed techniques. Kristina Alisauskaite (born 1984) is the only Lithuanian female artist listed in 100 Painters of Tomorrow. 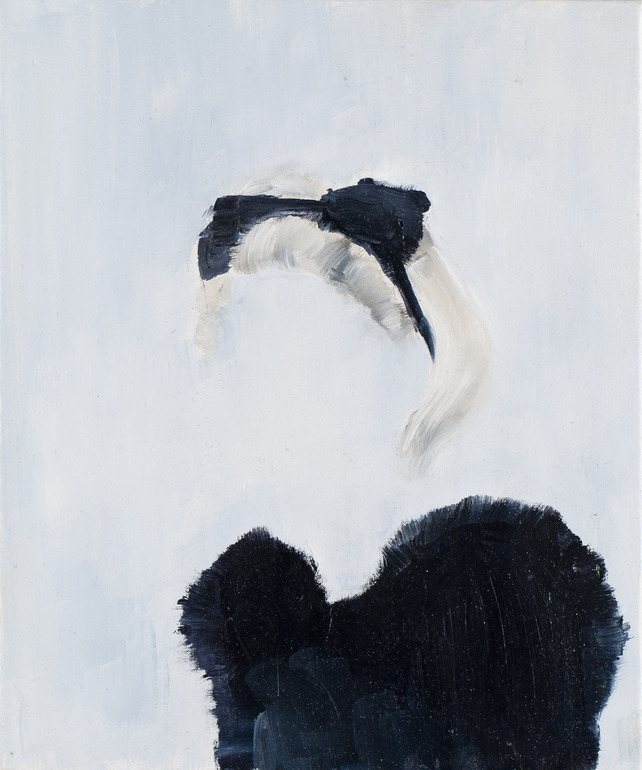 Her minimalist paintings depict frozen moments of reality, instants of longing and loneliness. Alisauskaite creates restless visions of emptiness – she places a man on a trampoline at the edge of the painting’s empty space, she suspends a faceless figure in nothingness, and poses a table with missing tableware. Ewa Juszkiewicz (born 1984) became a big name in Poland in 2013 when she won the prestigious contest of the 41st Bielska Jesień Biennale of Painting. 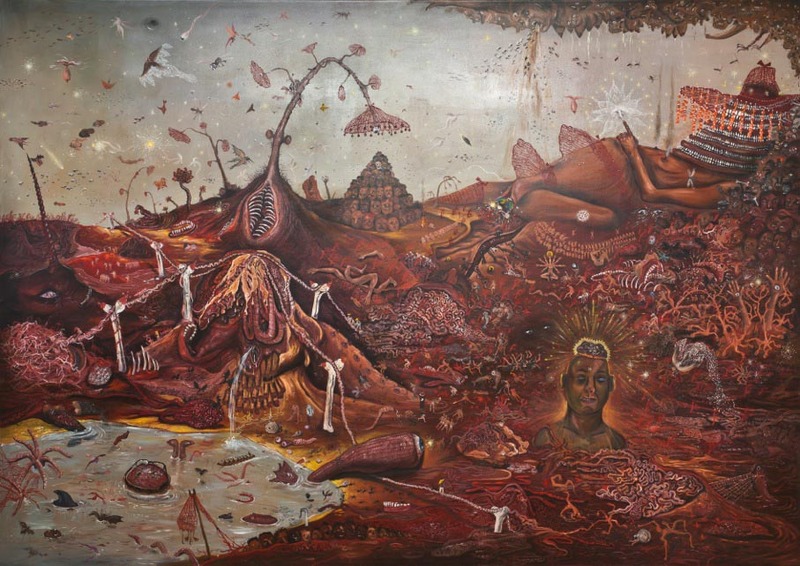 Her best known works are surrealist portrayals of women with fantastically deformed heads, transformed into proliferating polypores, gigantic insect bodies, bouquets, tribal masks and draped tapestry. 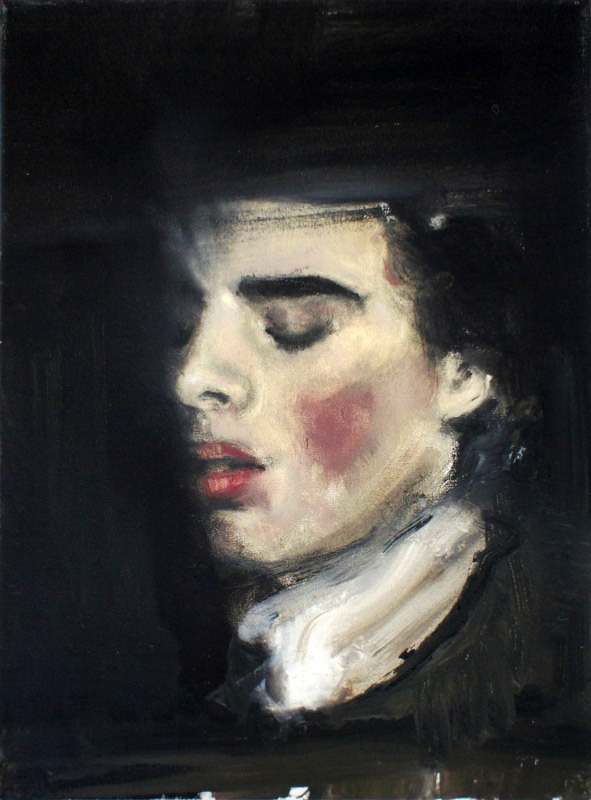 The paintings of Ewa Juszkiewicz refer to historic painting, especially that of the Flemish masters. The artist gives a lot of attention to her craft. She is interested in analysing different ways of portraying women throughout the centuries. She researches the phenomena of transgressing aesthetic norms and the various canons of portrayal. While intertwining formal illustration with seemingly alien elements, she poses questions about the limits of the ugly and the beautiful. Born in the United Kingdom in 1965, GL Brierley is one of the oldest artists to be found in the book. He has been active on the international scene for more than a decade, and has exhibited many times in Europe and the United States. His neo-baroque painting, very evocative of sculpture, is, in the words of the artist, "like dressing up a doll". The paint dries up, cracks and wrinkles, creating an object which resembles either a portrait, a still life or an abstraction. Numerous extra recognisable elements emerge from the paint – lace, fur, icing, wood, and sugar. Kinga Nowak (born 1977) belongs to the Kraków-based generation of traditionalist figurative painters. She is connected with the Parisian and London milieux, as a graduate of the ENSBA and a lecturer at the University of the Arts in London. Her early paintings, which were painted in a realistic manner, referred to memories of her own childhood. In a talk with Culture.pl, the artist specified that these early works "(…) were a retrospection, and an attempt at understanding myself through looking at what had shaped me". In her latest works, Nowak looks into the way in which the imagery of a world is constructed. "These paintings are thus a result of associations, feelings, and various intuitions, much like within a dream, the reality of these paintings is a creation, I want for it to be symbolic, credible, and yet impossible", she adds. 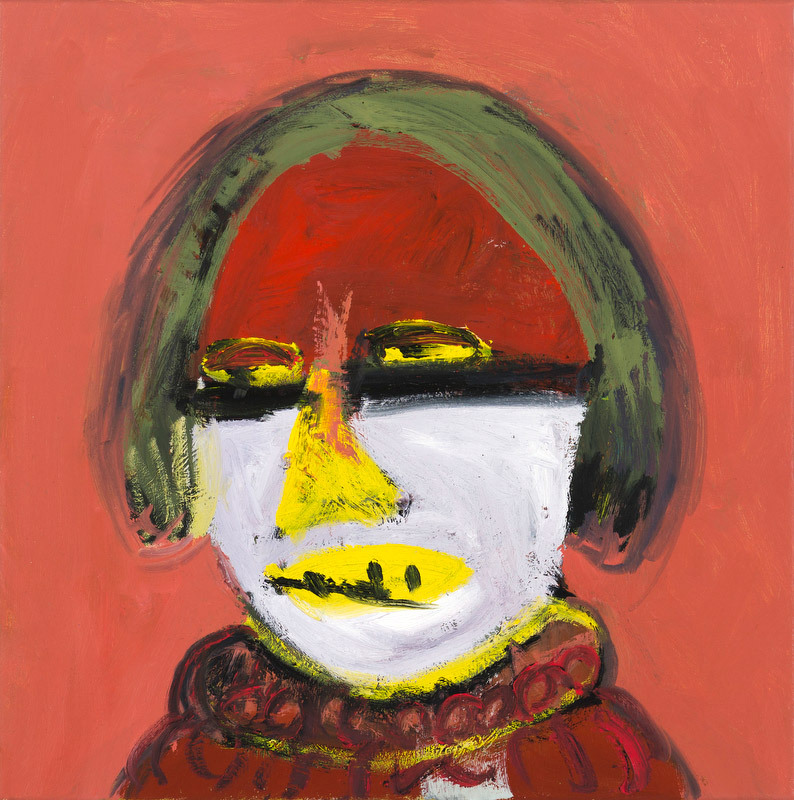 Carla Busuttil, Head Full of Glue, 2014, oil on canvas, 50 x 60 cm, photo: press release. Carla Busuttil is a British artist born in Johannesburg in 1982. In her paintings, she depicts a caricatural portrait of society, frequently evoking public figures. In her Great British Smile, Wake up Rod, and Alles Ist Schwindel she re-created the image of Margaret Thatcher in the way it functions within collective memory – her typical hairstyle, wide shoulders, and a string of pearls. 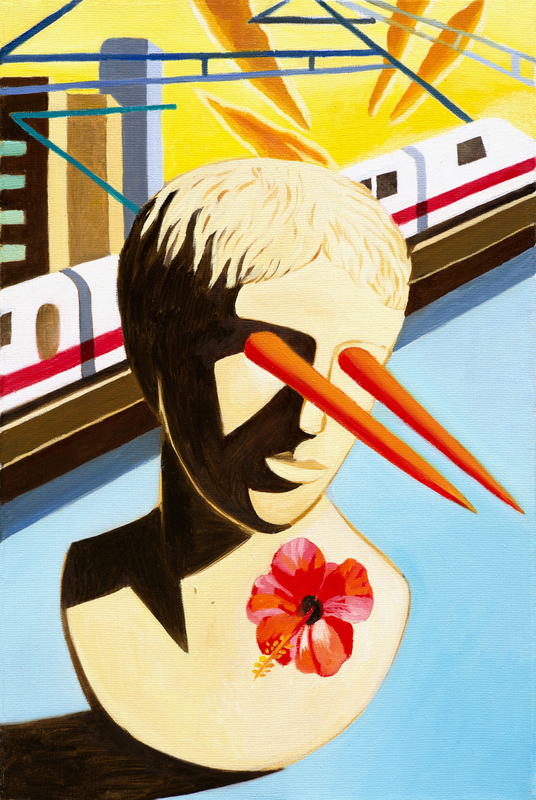 The works of Busuttil, a representative of British Art Now, are part of the Saatchi Collection. Paweł Śliwiński (born 1984) is part of the group of painters who draw their inspiration from the imaginary world, in creating conjured up universes filled with strange figures and unreal stories. The expressionist manner of painting, on the verge of the abstract and the figurative, is something typical for his art, which also reflects on the nature of painting itself. According to a review by Jakub Banasiak, "Even if we had recognised a shed, a meadow or a tree [in the paintings], they were first and foremost representations of the structure of paint, and – going even further – the process of painting itself”. Śliwiński collaborates with Tymek Borowski and together they founded the Herostrates Gallery, which represents nonexistent artists. 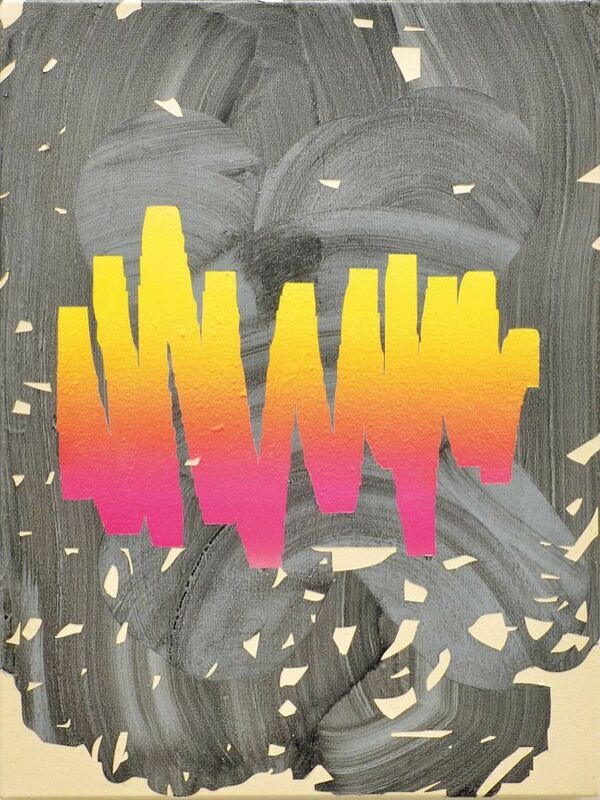 The New Zealander André Hemer (born 1981) is preoccupied with the crossroads between painting and digital media. His abstract works capture the moment of blending digital images with traditional painting. He is the author of projects conducted in the urban landscapes of Korea, New Zealand and Australia, where he works and lives. Inspired by popular culture, and sitcoms and movies in particular, Łukasz Stokłosa (born 1986) creates paintings in a noir aesthetic. Romantic and decadent paintings which look like moved photographs present the empty interiors of impressive palaces, winter landscapes and melancholic portraits, blended in his works with depictions of homosexual romance and orgies. In mid-19th century, an invention started up a new debate – what can be attained in painting that cannot in photography? Some 200 years later, the graduate of New York’s prestigious Pratt Institute and the Anatomy Deparment of Columbia University Andrew Sendor (born 1977), decided to take part in this discussion. His hyperrealistic oil paintings include digitilised and pixelated images. 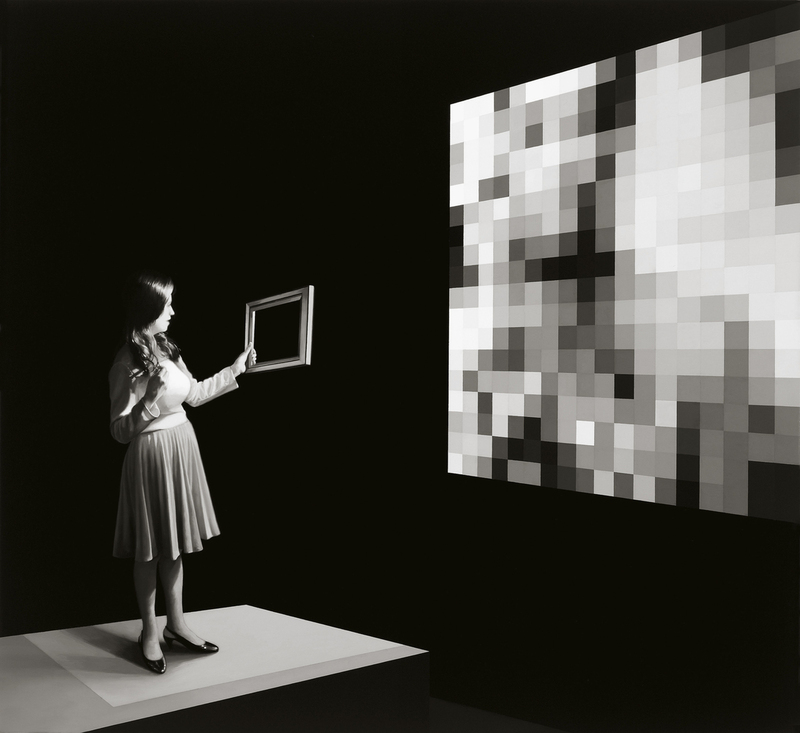 The monochromatic (usually black and white) paintings and jpg files present imagined views of installations at invented exhibits. 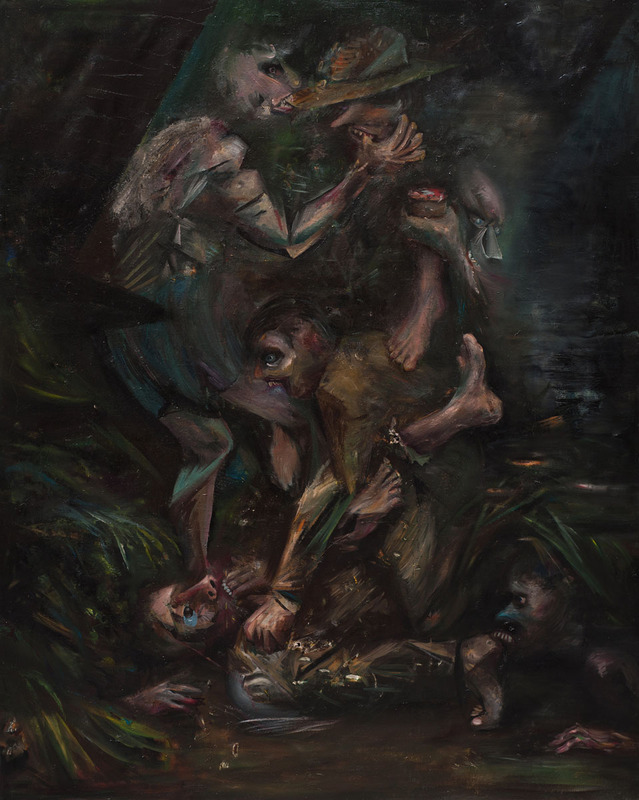 Out of the five Polish painters selected for the 100, it is Jakub Julian Ziółkowski (born 1980) who enjoys greatest international recognition. He has taken part in the most significant contemporary art events, including the 55th Art Biennale in Venice. His eclectic painting brings together surrealism and abstraction, cubism and op-art, constructivism and the Orient. Ziółkowski is interested in his own imagination and unconscious. He uses neither photography nor news imagery for inspiration, he paints everything "from his head". The paintings he creates depict a seemingly chaotic microcosm, mysterious worlds inhabited by fantastic plants, insects and at times semi-human creatures that have two heads.